Unlock the Hidden Money in your Super Funds! If you are leaving Australia or have left Australia. 2) Now for the Best Bit … Where Do You Want Your Money Sent? 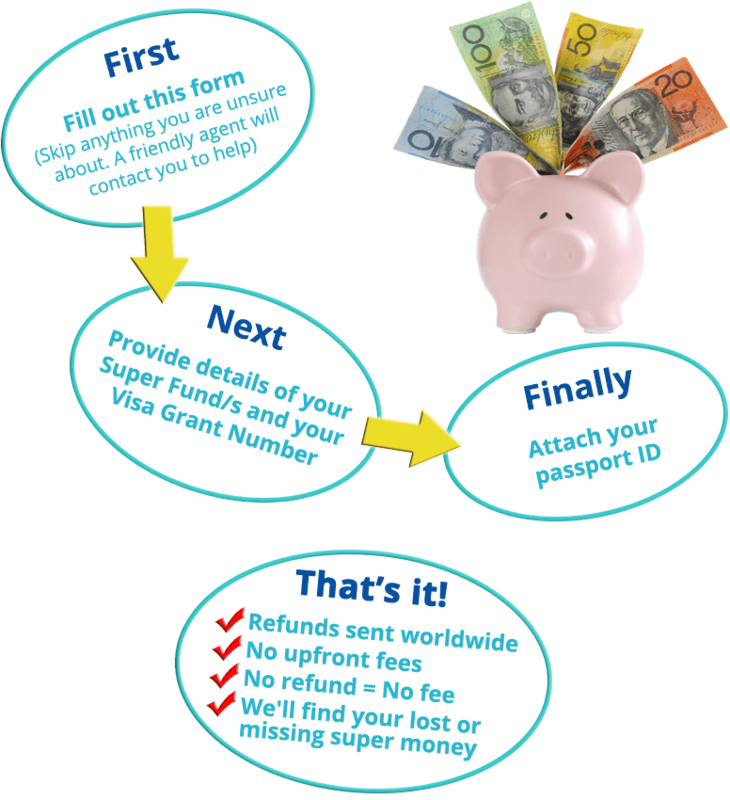 * Superannuation refund must be transferred to an international bank account. Please provide employer's contact details (phone AND email) if you would like us to follow-up and check whether your super money has been paid / payments are up-to-date. *Please list your current VISA GRANT NUMBER you received from Immigration, letting you know your Aussie visa has been granted (You can also forward us a copy of your visa grant email). Please, CLICK HERE to print and sign your application form to give us your permission to proceed. You only need to sign where indicated. Leave the rest blank and we will fill it out for you. © Copyright - Aussie Tax Returns 2015.